Stryker has announced the global launch of its new Trevo XP ProVue retriever, which expands the ProVue retriever line with additional size and shape options for physicians. 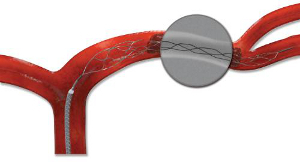 Stryker claims that the Trevo ProVue retrievers are the world’s first stent retrievers with full-length visibility and are built on Trevo technology that has delivered strong clinical results and positive patient outcomes for acute ischemic stroke patients. Supported by robust clinical evidence from the TREVO and TREVO 2 clinical trials, the Trevo XP ProVue Retriever demonstrated high revascularization and a high rate of good clinical outcomes compared to the earlier generation Merci Retriever. In addition, clinicians participating in the Trevo Retriever Registry international data collection study will be collecting real world data on the Trevo XP ProVue retriever. Stryker Neurovascular division president Mark Paul noted the Trevo XP ProVue Retriever is an example of the passion the Stryker Neurovascular team has towards innovating technology that assists physicians in treating their patients who are suffering from Acute Ischemic Stroke. "We set a new standard in stent retriever technology with the launch of the first Trevo ProVue Retriever. This second generation device expands the ProVue line and demonstrates our ongoing dedication to providing physicians with the most advanced tools available," Paul added. The new Trevo XP ProVue retriever, which is smooth and easy to use, has excellent deliverability and the visibility. The US Food and Drug Administration has granted 510(k) market clearance for the new device and is available in international markets where it has been cleared for sale.